Pre-Reading, Phonics, Reading, Vocabulary, Spelling, Grammar & Comprehension, with over 10,000 fun, interactive activities. Suitable for all years of schooling from preschool to Year 12! 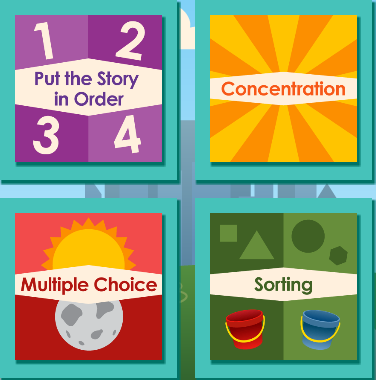 To begin using Literacy Planet, parents will need to create a student account for each child. This account allows you to track your child's progress and they will receive motivational rewards. Once the student accounts have been created you will be emailed a unique login for each child. Whenever your children return to Literacy Planet they can login to their personal account and continue from where they left off. New students are given 200 credit points which allow them to play games in the Arcade and buy avatars in the shop. Each activity completed gets you more credit points. To complete activities, go to the Academy! The Academy is divided into school year with many activities for each year. Learning areas offered differ depending on the year. The earlier years cover phonics, sight words, spelling, reading, comprehension and grammar, whilst the later years just focus on grammar. Each learning area has numerous fun activities to engage even the most reluctant learner. Flick through 100 books which can be read or listened to, suitable for 5 - 10 year olds. The categories include creatures, disasters, mysteries, sport. 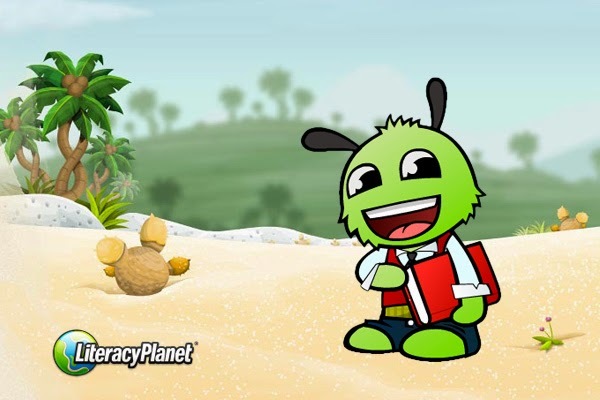 Try out your new learned skills in the Arena, with Word Mania a word building game, and Donkey Dash a spelling game, Compete against the computer, anyone else online or just your own friends. Spend some well earned credits here, by buying attempts at four different games. The chance to advance through numerous levels will keep the credit earning motivation going with Sheep bounce, PenPen's Express, Block Stack and Turtle Knock providing a fun and rewarding way to relax. Create your own avatar in the MyProfile area. Mix up your face, colour and buy the clothes you want to be seen in from the shop. This is now how you will appear every time you login and to anyone around the world who's logged in at the same time. Until you change your look yourself! Beware you need credits points for this. 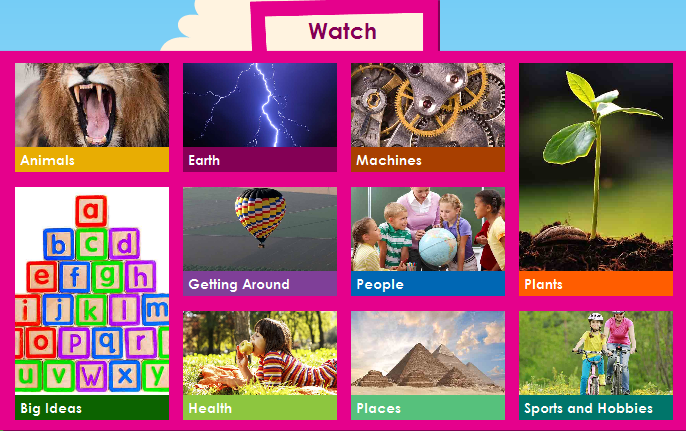 Early World of Learning is a fun site for pre-school to year 2 students, produced by World Book Encyclopedia. It contains three learning environments, each targeting a critical area of the development of young learners in early elementary grades. Welcome to Reading provides leveled reading practice to develop and strengthen phonics, vocabulary, phonemic awareness, and comprehension skills. Know it is a child's first online encyclopedia. Know It provides a richly visual interactive encyclopedia that will captivate early learners with nonfiction topics of interest and importance to them. Put the story in order offers the chance to test listening skills.Click or tap the picture to hear it read aloud. Drag the events from the story into the order in which they happened. Concentration is a memory game. Select a second card to try to find its matching pair, to create the full scene. Multiple choice offers a story and once it is read drag the correct word to the sentence to complete it. Sorting offers the chance to play with word sounds. Drag each picture to the bucket showing the required sound. Click or tap the picture to hear it read aloud. Working with short and long vowel sounds, beginning, middle and end of word sounds. Watch videos which explore and explain the world. Divided into categories of interest, over a hundred of these very short videos demonstrate concepts, nature and places as only pictures can. In2era - Characters and stories come to life with Picture Books Online. Ziptales - A reading program packed with stories, games, videos and puzzles.